The history of "packaging" goes back to the first human settlements. First leaves, gourds and animals skins were used. Then ceramics, glass and tin. Then paper and cardboard. But with the invention of plastic and the celebration of "throwaway living" since the 1950s, the environmental costs of an overpackaged world have become manifest. 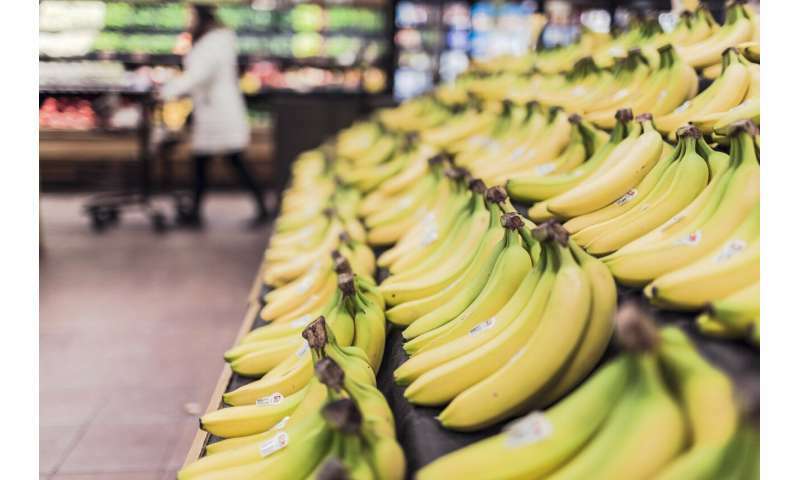 Initiatives to cut down on waste can initially be strongly resisted by consumers used to the convenience, as shown by the reaction to Australia's two major supermarket chains phasing out free single-use plastic shopping bags. But after just three months, shoppers have adapted, and an estimated 1.5 billion bags have been prevented from entering the environment. They are part of an important and growing trend promoting an environmentally sustainable "reuse" mentality. Their way of doing business shows we can change the current 'linear' economic system in which we continuously take, make, use and throw away materials. Not all of packaging is wasteful. It can stop food spoiling, for example, and enables us to enjoy foods not locally produced. But what is driving the growth of the global food packaging market – expected to be worth US$411.3 billion by 2025 – is rising demand for single-serve and portable food packs due to "lifestyle changes". Most of us recognise these are not lifestyle changes for the better; they are the result of us spending more time working or commuting, and eating more processed and unhealthier food. Most packaging was invented to improve the shelf-life of products first. For example, keeping your apples in a plastic bag prevents them from spreading around ethylene gas which is a plant hormone that causes other fruit and vegetables to ripen and rot early. The question then becomes, which is worse, a gram of cling film or bag, or throwing away a larger portion of your food, which was grown on the same oil as what made the cling film. Likewise, if you really wanted to help the environment, you wouldn't ban plastic shopping bags - you'd re-use them. One canvas bag consumes as much oil to make as 40 plastic single use bags, so if you just fold them and re-use a couple times each, you'll easily save more resources. Well-stated, Eikka. And a significant percentage of "single-use" bags end up being re-used: as trash bags and to store and carry things. Some packaging doesn't make sense, though, and could be done with fewer resources or completely done away. In a free market economy, competition tends to ultimately yield more efficient use of resources; no nanny-state diktats required. Unfortunately people are somewhat poor in evaluating efficiency over multiple orders of magnitude. Things that cost pennies are treated differently from things that cost dollars, because when you're dealing with dollars on a day-to-day basis, anything that falls in the last percentage point is treated as irrelevant. On a resource management point, that is warranted because banning plastic bags really isn't a question of saving oil. One plastic bag takes about 0.5 MJ of energy (oil) to make. That's enough petroleum to drive your car to the end of the street, so the trip to the store is going to consume the effect of 100 plastic bags already. The issue is that cheap plastic bags are thrown away onto the streets and in the woods. To put things into context, the average American family uses about 1,500 plastic shopping bags a year. That is equivalent to about 1/7 of a barrel of oil, or about 6 gallons. Out of those bags, about 15 are recycled properly, as in, made into new plastic. The others may get re-used but are ultimately thrown away into landfill or into nature, or in the better case they are burned in waste incinerators for energy. The amount of oil used for the plastic is somewhat negligible - it's the amount of trash that results that's really the problem. The narrative we're having right now is to tackle the problem at its source - if you don't have plastic bags, you can't throw them away - but that's a cynical approach to the issue. It's more of a "This is why we can't have nice things!" approach - plastic bags are nice, they're useful, they're really not wasteful, but the "social managers" want results so they're willing to throw the baby out with the bathwater. 2) mandate no prints or logos on the shopping bags to improve recycleability. Embossing graphics (like watermarking) is okay. 3) institute collection points where people can put their used shopping bags once they've served their purpose. These may be like public ashtrays but inside stores, so you take your bags back with you and either re-use them, or stuff them in the can if they're too tattered to use. I collect all my shopping bags... in a shopping bag, and the issue is that I sometimes run out because I need them somewhere else. Bin liners, carry-ons, bike seat covers, backpack liners, a rain hat, floor cover for paint drips... my grandmother used to cut them into strips and weave rugs out of them for use in the yard and garden, and I still have one of those in the back of my car to throw on the ground if I need to change the tire.